Changes in the status of the Southeast Asian region perceived by the Korean society have been detected since 2017. The new government dispatched the ‘ASEAN special envoy’ giving equal treatment as the four surrounding powers, and this also illustrates the transformations in the relationship between Korea and ASEAN. For Korea, ASEAN is the second biggest trading partners and host countries, and active human exchanges take place in the region. The Southeast Asia Center (SEAC) plans to continuously conduct research on the Southeast Asian region and promote awareness of the region within the Korean society. In 2017, SEAC has undergone a period of change. Since 2012, SEAC has been conducting research under the macro-theme of ‘Culturally-Sensitive Management and Marketing Strategy and Sustainable Economic Cooperation: Focusing on Indonesia and Malaysia as a Malay-Islam World’. The first stage ‘Research on Korean Corporation’s Localization Strategies and Industrial Relation’ and the second stage ‘Research of Consumer Culture and Consumer Strategies in the Retail Market’ have been completed. 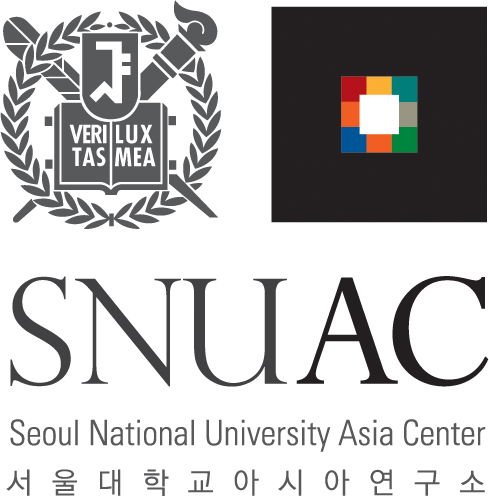 Also, a follow-up research, ‘The Cultivation and Implementation of Localization Strategies based on the Study of Mutual Interaction between Korean Corporation and Local Societies in VIP Countries’, for the Emerging Economies Research Project has been selected, but will be pursued in a different research institution. The research on the ‘Water Governance and Sustainable Development Cooperation in the Mekong River Basin’ was initiated in December 2014 and the team has completed the three years research period. Lastly, SEAC has been striving to establish the basis for research under the new topic of ‘Southeast Asian Islamic Economy’ in 2017. In 2017, SEAC published Consumption Culture in Indonesia and Malaysia: Taste, Beauty, Space, and Halal by compiling individual research findings. The book was well received by the readers for its broad scope of topics including commercialization of Indonesian local food, Halal consumption, and Halal certification. SEAC conducted research on ASEAN consumer market and consumer culture for sustainable economic cooperation between Korea and ASEAN, and the research findings have been evaluated as key aspects to be considered by Korean corporations extending business to Southeast Asia. Moreover, SEAC research can be considered to have promoted the study on Southeast Asian business with a basis in regional studies. The Mekong Research Team conducted research under the third year topic on ‘Water Governance and Sustainable Development Cooperation in the Mekong River Basin.’ The researchers scrutinized topics such as the improvement of governance in Mekong River Basin, benefit-sharing for creation, frontier trade, legal system cooperation methods, and public-private governance cooperation in Mekong River Basin. In addition, SEAC has selected ‘Islamic Economy in Southeast Asia’ as its new research topic in 2017. Issues such as domestic-international politics and Halal consumption surrounding Halal food and Halal certification were explored, and Islamic finance was reviewed succeedingly. The ban on interest (riba), avoidance of uncertainty (gharar), and social welfare (maslaha) are the core principles in Islamic economic ethics and such characteristics may be discussed as alternatives for the contemporary economic and financial system. In 2018, with the completion of the projects by the Emerging Economies and Mekong research teams, SEAC plans to establish a research basis following a new research theme. Accordingly, SEAC will apply for the 2018 National Research Foundation’s research project with topics ‘The Water-Energy-Food Nexus Approach for the Korea-Mekong Sustainable Development Cooperation Considering Climate Change’ and ‘Islamic Finance.’ SEAC has selected ‘Islamic finance’ as the core theme for the Asia Basic Research Program on Southeast Asian Islamic Economy to deepen its studies and build organic research networks. In addition, SEAC plans to implement the ‘Southeast Asia Awareness Project’ in 2018. Open classes on Southeast Asia will be organized for students on campus. Oh, M. S. et al. (2017). Consumption culture in Indonesia and Malaysia: Taste, beauty, space, and halal . Zininzin. Choi, K. H. et al. (2017). Islamization in Southeast Asia II. Nulmin Books. Eom, E. H. (2017). Localization of oversea Korean companies and CSR: Focusing on cases in Indonesia. Journal of the Association for Korean Geographers, 6(3). Eom, E. H., & Shin, D. H. (2017). The path formation of Thailand’s electricity/energy regime and sustainability assessment. The Southeast Asian Review, 27(4). Lee, J. H. (2017). The political economy of Indonesia’s global maritime axis and infrastructure development plan under the Jokowi administration. The Journal of Asian Studies, 20(1). Lee, J. H., & Lee, S. H. (2017). The birth of hybrid convenience store and consumer culture in Indonesia. The East Asian Studies, 36(1). Jung, B. M. (2017). The Philippines in 2016: Election, economic development and independent foreign policy. The Southeast Asian Review, 27(2). Jung, B. M. (2017). Extrajudicial killing in the development field: The case study on the death of community leaders in the Philippines. The Journal of Philippine & Southeast Asian Studies, 20(2).